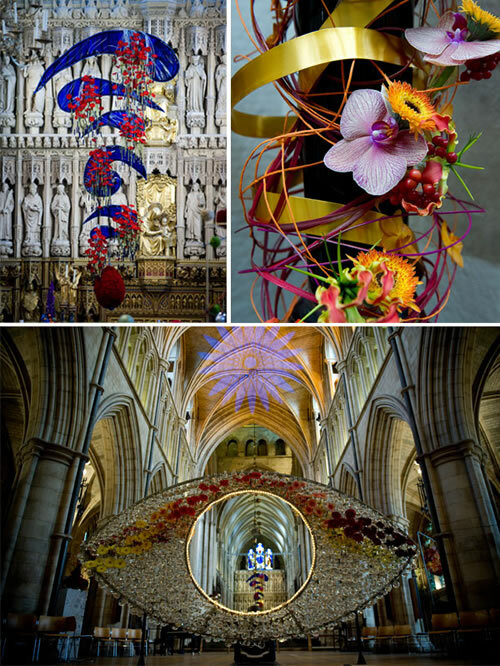 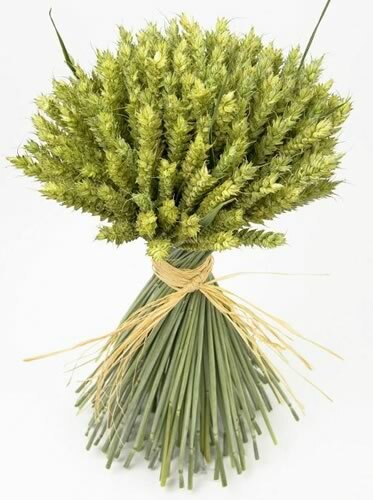 You are currently browsing the archive for the Floristry category. 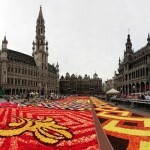 This amazing flower carpet was on display in Brussels last week. 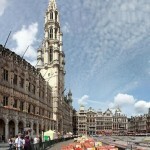 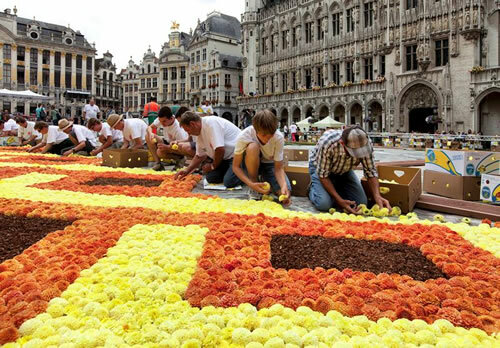 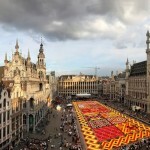 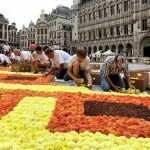 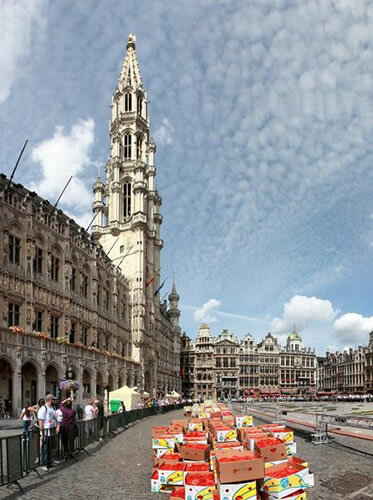 Grand-Place in Brussels houses a flower carpet every two years, the theme this year was The African Continent. 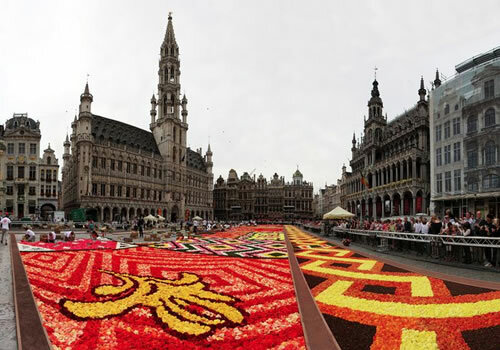 The carpet is made using over 600,000 begonia flowers. 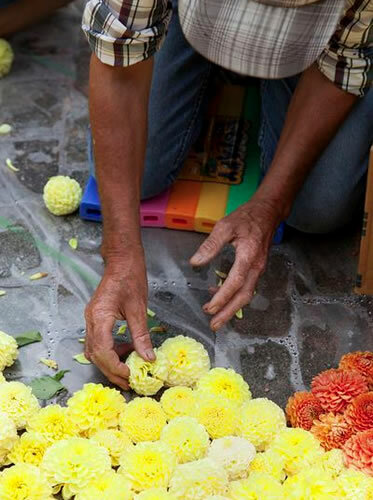 Begonias are used because they are robust and resistant to bad weather and strong sunshine, which means they stay last well. 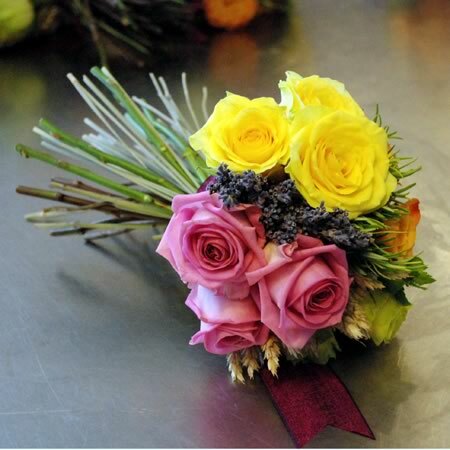 They are also available in vast range of colours from pale pastel shades to vibrant colours. 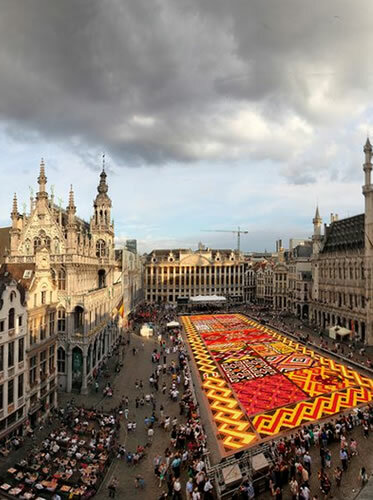 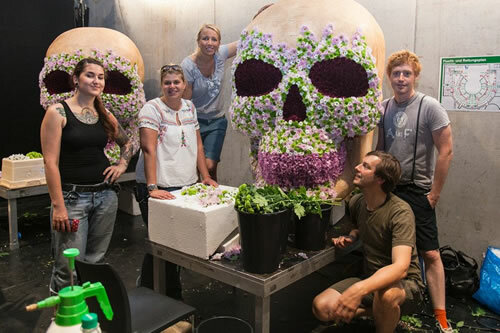 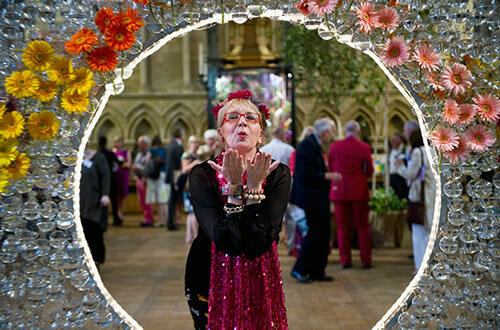 The carpet was an incredible 1800 metres square, 120 volunteers spent 48 hours making the floral tapestry. 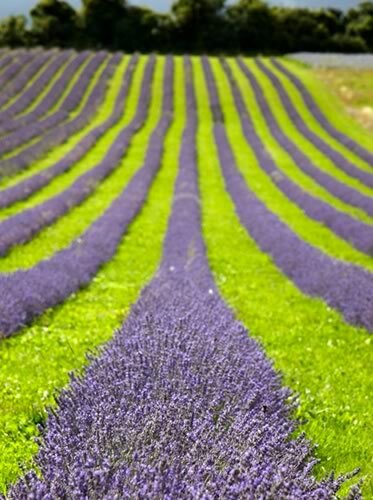 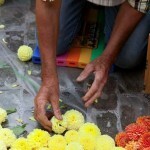 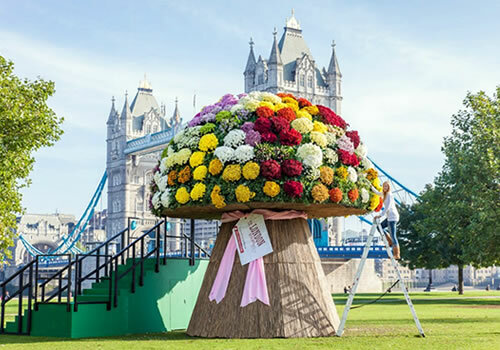 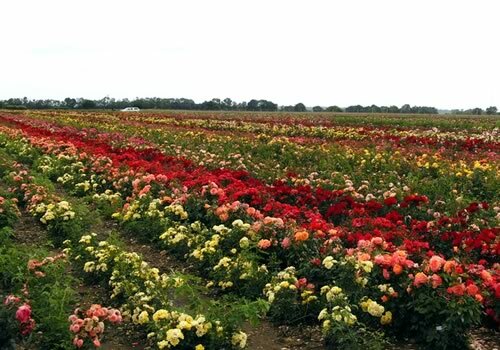 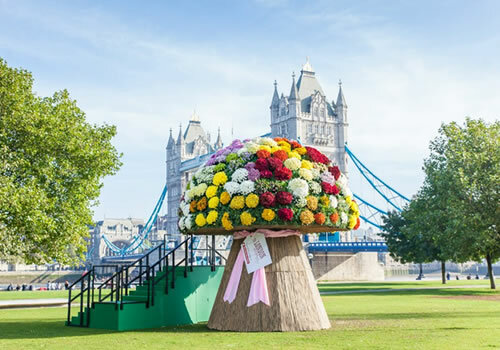 The flowers are tightly packed, 300 per square metre, this creates a microclimate that helps keep them fresh. 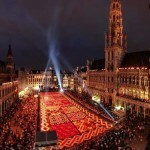 The carpet was on display for five days. 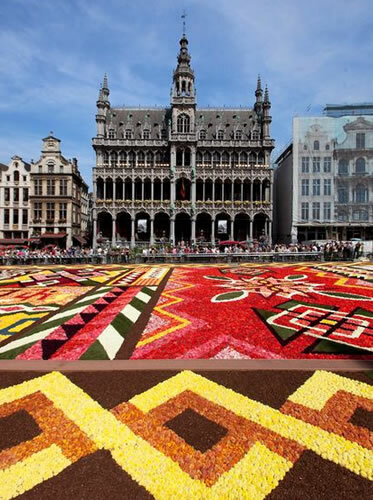 The carpet was inspired by Africa’s landscapes, cultures and colours. 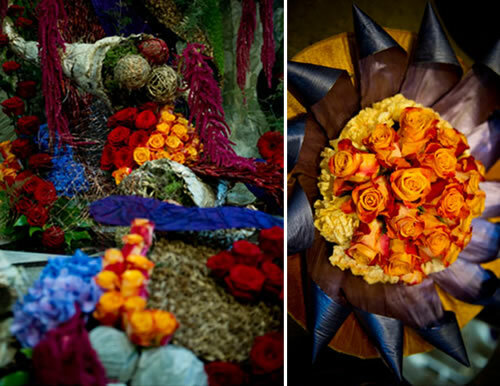 The flowers were combined with soil, bark, sand and pigments. 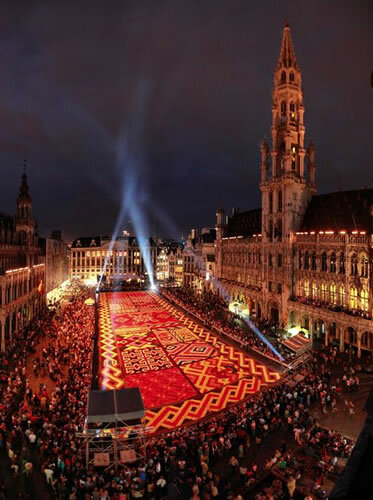 Visitors were able to view the carpet up close or enjoy a panoramic view from the Town Hall balcony. 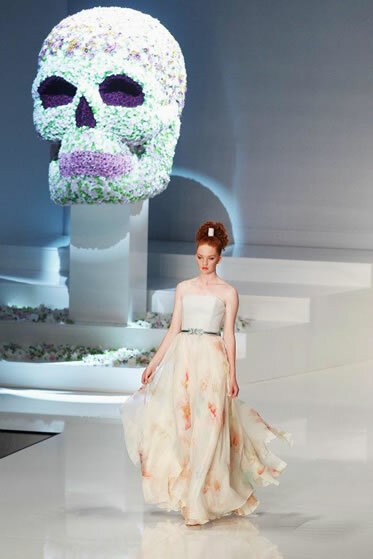 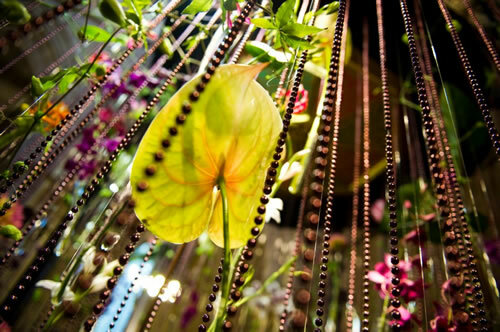 The balcony was dressed with thousands of anthuriums, which grow in Africa.